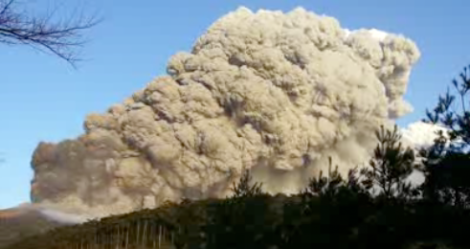 Japan's Mount Shinmoedake is currently erupting, spewing smoke and ash nearly 10,000 feet in the air. Oh, and there's some lava too. But it wouldn't be a modern natural disaster if it wasn't caught on camera. Here's another video where you see plenty of molten glow.